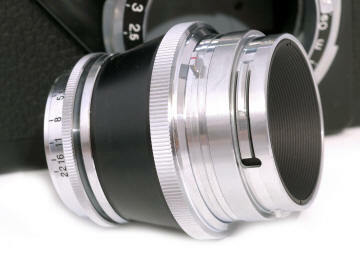 Voigtlander Nikon Rangefinder Mount Lenses are still IN STOCK at CameraQuest! 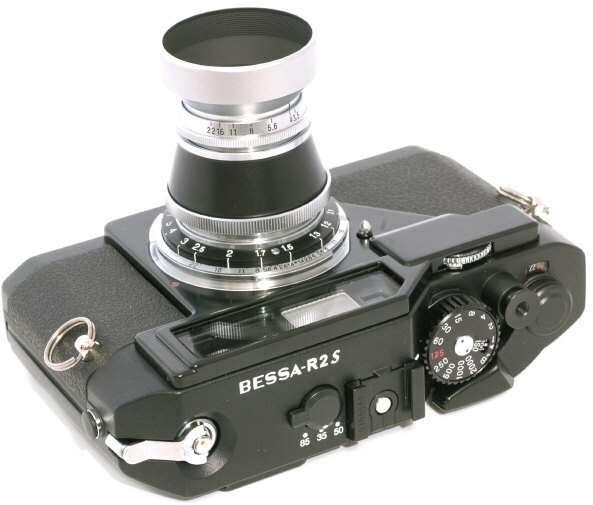 The last of the Bessa R2S series is the NHS R2S 50/3.5 Heliar S Limited Edition. What's so special? Only that the 50/3.5 Heliar is probably the sharpest lens ever made in Nikon Rangefinder Mount and this is the first Special Edition camera for the Nikon Historical Society! 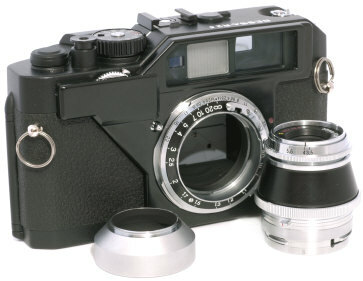 In 2001 Voigtlander introduced the Limited Edition Bessa T 101 Heliar Sets in Leica mount. The fabulous 50/3.5 Heliar turned out to be the best performing lens ever tested by Popular Photography! 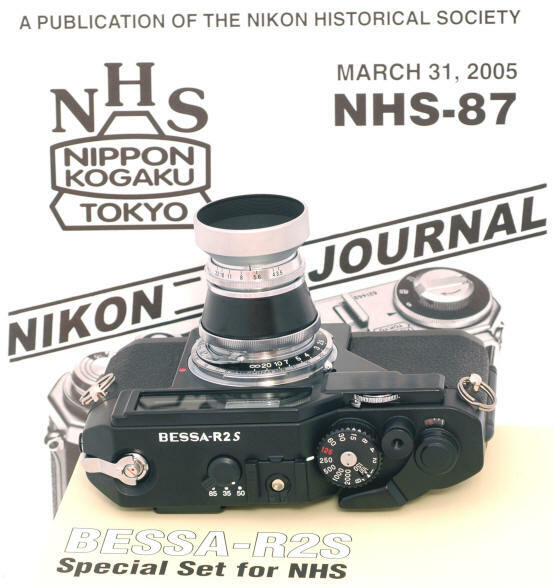 In 2005 Cosina re-introduced the 50/3.5 Heliar in Nikon Rangefinder mount with a special R2S as the last of Cosina's Nikon Rangefinder mount cameras and lenses. 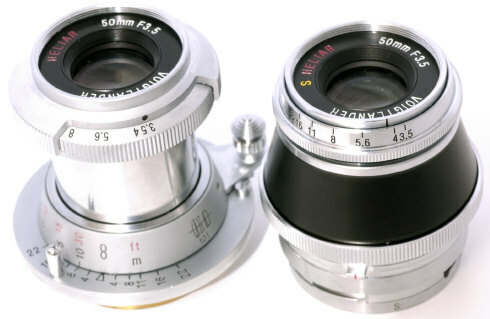 The 50/3.5 Heliar S in Nikon Rangefinder Mount internal mount is rigid, compared to the collapsible Leica mount version. Both Leica and Nikon mount 50/3.5 Heliars have the same optics with the same startling performance. Unlike the standard production R2S, the Heliar R2S has a handsome black paint front plate instead of the standard splattered black paint. The internal mount rigid 50/3.5 Heliar S has the same optical formula, lens cap, lens hood, and 27mm filter size as its Leica mount predecessor. Unlike the earlier lens, the Heliar S does not have aperture click stops. The black piano paint front plate is unique to the NHS R2S. The R2S has a higher top speed of 1/2000th and a higher flash sync of 1/125 than any Nikon Rangefinder, not to mention a MUCH brighter view finder, rangefinder focusing spot, and parallax projected brightlines and TTL metering. 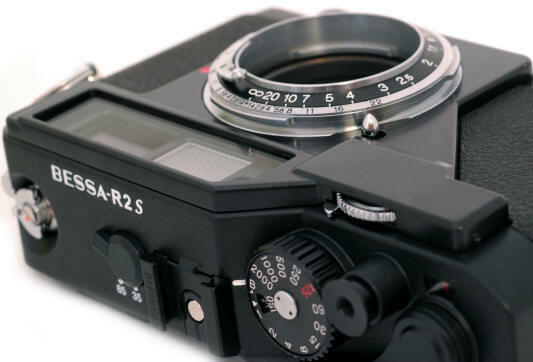 Real world, these features make the Voigtlander Bessa R2S is a much more convenient shooter than any Nikon Rangefinder. 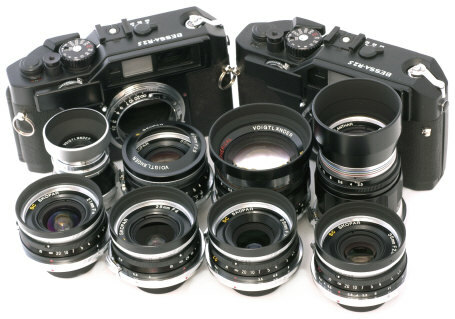 Voigtlander Bessa R2S Bodies and Lenses Left to Right: Black Paint Heliar R2S Body, Regular Production R2S, Middle Row 50/3.5 Heliar, 50/2.5, 50/1.5, 85/3.5, Front Row 21/4, 25/4, 28/3.5, 35/2.5. Take note these are the ONLY production Nikon Rangefinder mount cameras ever made with TTL metering, and the only modern set of multi-coated Nikon rangefinder mount lenses ever made. 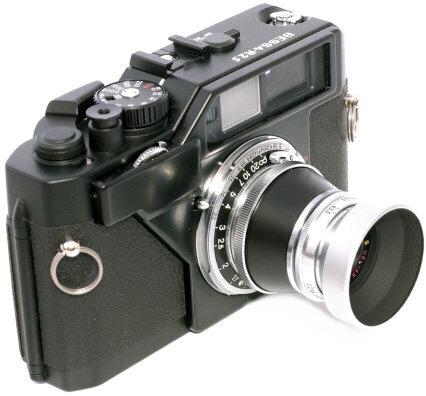 Alas, the Voigtlander Nikon Rangefinder mount cameras and lenses are now discontinued as Cosina concentrates on Leica mount rangefinders. With their unique features these treasures from Cosina will likely become highly sought after by shooters and collectors alike. 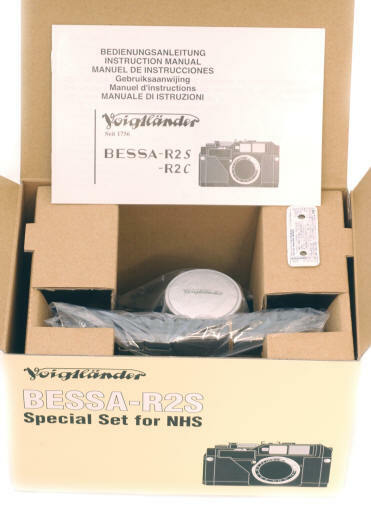 The Voigtlander R2S Heliar set was introduced in 2005 shortly after Nikon announced its new Black Nikon SP 2005 rangefinder with 35/1.8 Nikkor. 2005 was a very good year indeed for Nikon Rangefinder mount enthusiasts! Revised: September 11, 2017 . Copyright © 2013 Stephen Gandy. All rights reserved. This means you may NOT copy and re-use the text or the pictures in ANY other internet or printed publication of ANY kind. Information in this document is subject to change without notice. Other products and companies referred to herein are trademarks or registered trademarks of their respective companies or mark holders.